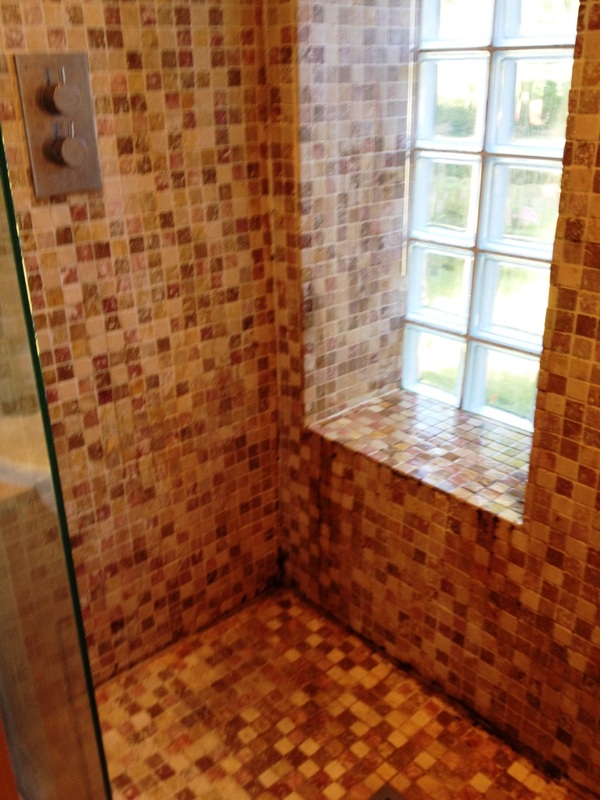 This Marble mosaic tiled shower cubicle in Richmond, Surrey was in need of a good clean, re-seal and re-silicone. Moisture had penetrated the old sealer and left mould and mildew in the pores of the tiles. This is quite a common problem in the modern insulated homes we live in today which invariably have in-sufficient ventilation. The silicone sealant around the base of the shower had also perished allowing water in behind the tiles around the base. 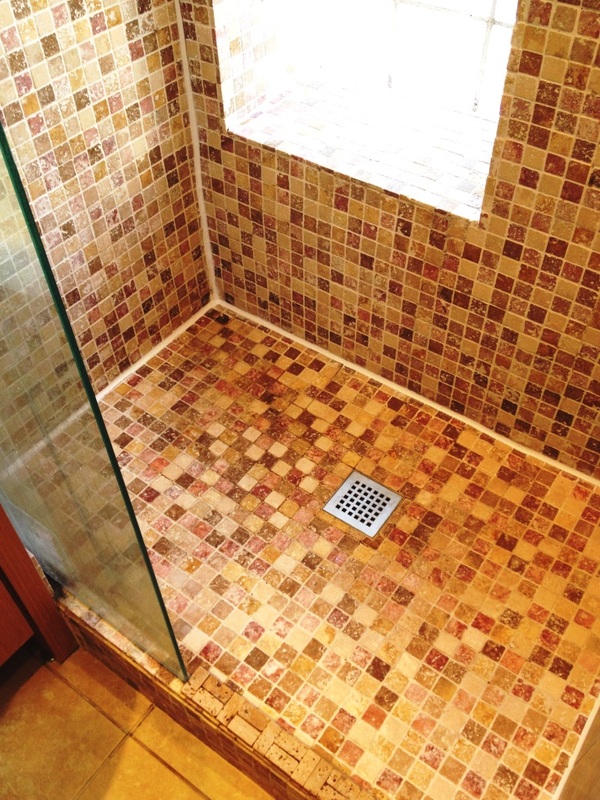 We first stripped away all of the old silicone and proceeded to clean the tile and grout by scrubbing in a dilution of Tile Doctor Remove and Go, which is a strong coatings remover that shifts just about anything but is also safe to use on tile, stone and grout. This did the trick and resulted in what was left of the old sealer being removed and had the added bonus of cleaning the grime away from the Marble tiles. The bathroom was allowed to dry out for a period of 2 days so as not to trap any moisture behind the new sealer. Then once dry we applied two coats of Tile Doctor Colour Grow which is a solvent based sealer that reaches deep into the pores of the stone preventing other contaminates from becoming ingrained in the tile. The final step was to applying a new silicone sealant to the joints and as you can see from the pictures the Marble tiles responded very well to the process and the shower now looks much fresher if not a new installation.